Our First Nations neighbours are busy this summer. Here are opportunities to meet and enjoy them. Do ask them questions about their culture, regalia, and their feelings about issues. Please ask permission for close-up pictures. First Annual North American Indigenous Cultural Festival. This looks like one of our biggest First Nations gathering ever. “With over $90,000 in awards, a cultural pavilion, delicious food, Indigenous vendor market, entertainment and music”. Expecting around 400 competitors from both Canada and the U.S. May 21 and 22. Downsview Park, 35 Carl Hall Road, Daily Admission. General – $16.00; Elders (65+) – $5.00; 5 Yrs and Under – Free. General Weekend Pass – $25.00. http://ncct.on.ca/north-american-indigenous-cultural-festival/. 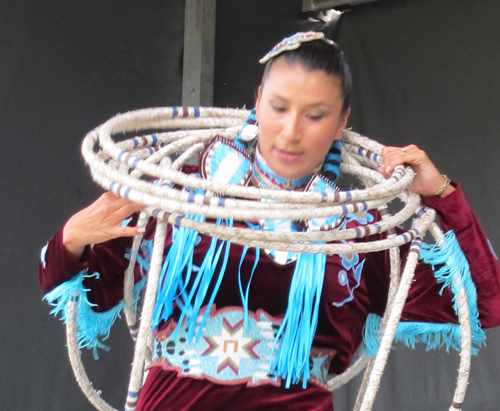 The Annual Ba-me-res Traditional-pow-wow will be at Fort York this year on June 18.”Hope you will join us!” This is a fund-raiser for the Native Men’s Residence/Sagatay and for the last few years, this pow wow has been at Wells Hill Park. Join them for their sunrise service too if you wish. For more information: http://bit.ly/1SUGi78. Tel. 416.300.2079, 416.651.6750 x. 2232. Facebook: https://www.facebook.com/native.residence; Twitter: https://twitter.com/Na_me_res; Website: http://www.nameres.org/. Donations: https://www.canadahelps.org/en/charities/na-me-res-native-mens-residence/. Helping the Homeless Community of Toronto. Since 1985. Charitable reg. no. 1190 50516 RR0001. 4th Annual Indigenous Arts Festival @ Fort York. Fri. to Sun. June 17 to 19. “Energizing Fort York with powerful traditions and contemporary creations, this festival celebrates traditional and contemporary music, dance, theatre, storytelling, visual arts, crafts, and food by Indigenous peoples from across Turtle Island. Produced by Fort York in collaboration with the Mississaugas of the New Credit First Nation.” www.toronto.ca/fortevents. 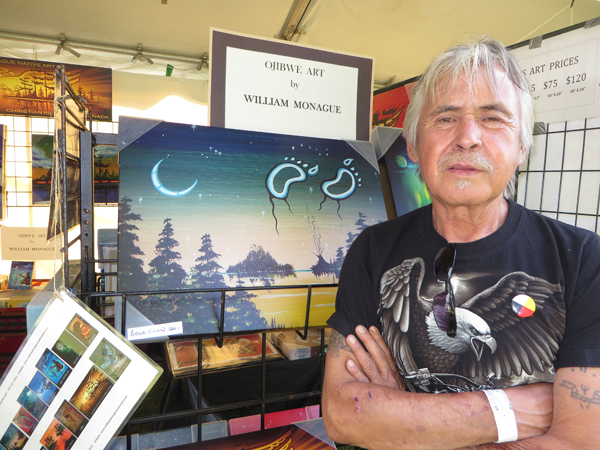 William Monague Native Art, 539 Yonge St. Midland, ON L4R 2C6. 705-527-4414. www.williammonaguenativeart.com. For other opportunities to learn about First Nations cultures in Toronto, visit the Native Canadian Centre, It provides lessons in cultural crafts, languages, and has a weekly Big Drum Social anyone can join on Thursday evenings. Free. http://ncct.on.ca/. Visit Native Child and Family Services, during Doors Open on May 28 and 29. See its sweat lodge and long house meeting room. It’s at 30 College Street (just west of Yonge Street on the north side). http://www.nativechild.org/about-us/events. Smoke Dance Competition! – May 14/16 @ 1pm. This is not in the GTA but it’s close enough. It’s also an opportunity to discover more about the Woodland Cultural Centre, 184 Mohawk Street, in Brantford. This centre has been working with Harbourfront Centre to bring you PlanetIndigenous. See more at: http://bit.ly/1rsLTFD. Images of Native artists from 2015 Pan Am Art Show at Fort York. Cover photo of Shianne Gould, Mi’kmaq, Cape Breton, N.S. with art by her mother, Loretta Gould. Facebook.com/lorettas.gould. snowlg@hotmail.com; 1-902-296-0069. The Toronto Public Library is celebrating Canada’s Indigenous culture and heritage June 1-30. Meet authors Thomas King, Lee Maracle, Joseph Boyden, Drew Haydon Taylor – and others. Enjoy storytelling, lectures, musical performances, author talks, puppet shows and crafts at library branches. See: tpl.ca/aboriginal. We just heard from the Peel Art Gallery Museum and Archives at 9 Wellington St. E., Brampton. Tel: 905-791-4055 . pama.peelregion.ca. Updates: for other First Nations events in Toronto, please “subscribe” to our Newsletter top right above.